Quran is among the top religious scriptures read by many. 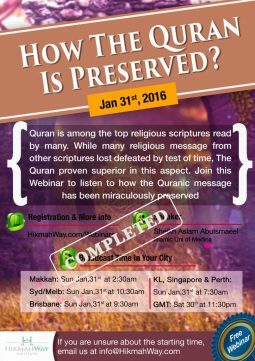 While many religious message from other scriptures lost defeated by the test of time, The Quran proven superior in this aspect. 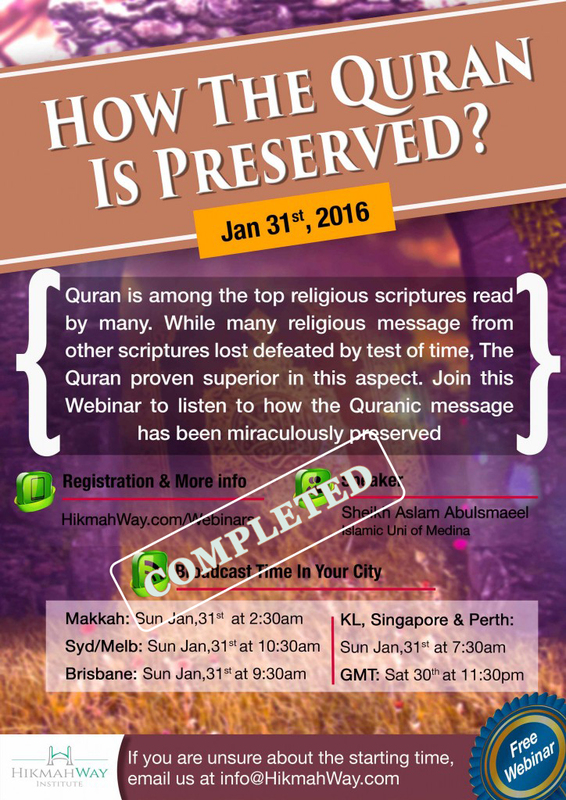 Join this Webinar to listen to how the Quranic message has been miraculously preserved. With his broad exposure experience in community work and Knowledge in religion, Sheikh Aslam AbuIsmaeel will be presenting is much needed webinar. Learn the Means of Getting Allah’s Help in current difficult times.